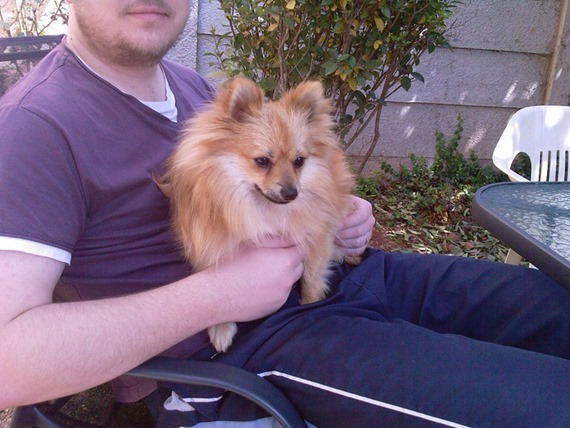 On Thursday morning I got the terrible news that one of my Pomeranians (Helix) somehow escaped from our property and was killed by a reckless driver just up the road from our home. He had the most amazing little personality of any animal (dog child) that I ever had the privilege to raise as my own. Always playful, vigilant, he managed to even put a smile on my face during the darkest hours of my life, to say he will be missed is a gross understatement. Rest in peace my beautiful puppy, you're entertaining Angels now.